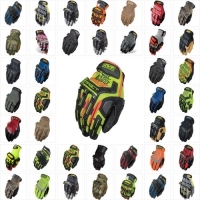 Texas America Safety Company offers a large selection of work gloves. Search by Glove Design, Glove Material, Glove Application and more. We also offer the popular Mechanix line of work gloves and other gloves by the pair. It is important to find the right material, right fit, and the right glove application for the task at hand. Feel free to look around and let us know if we can help. We have the right work glove for you! 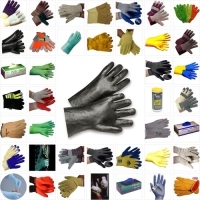 Texas America Safety Company has a vast selection of gloves for you to choose from, but you should know why work gloves are so important. A common mistake that workers make is choosing the wrong gloves for the application. It’s crucial to choose a pair of work gloves that address the site-specific hazards you’ll be dealing with. If you don’t have the right pair, construction jobs can be especially dangerous. Glove texture and material are very important and can have a dramatic impact on overall performance. By choosing the perfect pair of work gloves for your needs, you can also significantly reduce the risk of injury. On this page, you’re given the ability to narrow down your search. 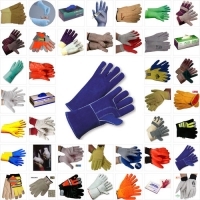 You can sort our inventory by glove application, material and design. 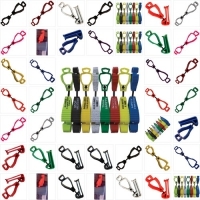 We also make it easy to see all of the glove guard clips and MECHANIX work gloves that we have to offer. 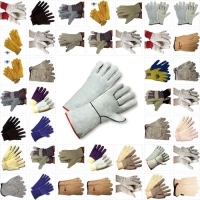 Although we sell most of our gloves in sets of 12, we understand that you might prefer to purchase individual pairs, so you can easily sort our selection and see all of the individual pairs that we have to offer. 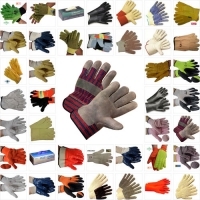 With so many different ways to sort our inventory, you should have no trouble quickly sourcing the best work gloves for your needs.